VirnetX today announced that the United States District Court for the Eastern District of Texas has denied all of Apple's motions in a longstanding FaceTime-related patent lawsuit between the two companies. The court also granted all of VirnetX's motions in the retrial and increased the royalty rates that Apple owes during the infringement period, resulting in a revised final judgment amount of $439.7 million. "We are elated with the Court's Final Judgement of $439 million in that not only did it affirm the jury's verdict of $1.20 per infringing iPhone, iPad and Mac Product, but also added for willful infringement, interest and attorney fees. This is the third time a jury has ruled in our favor against Apple," said Kendall Larsen, VirnetX CEO. 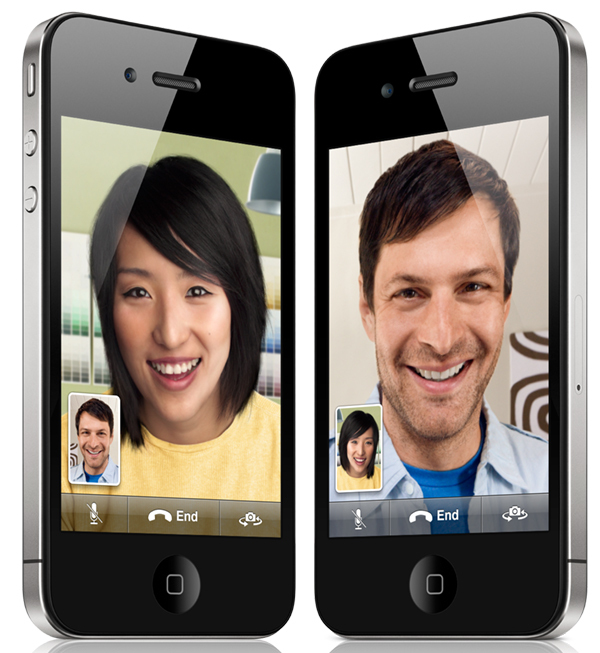 VirnetX originally sued Apple in 2010 over allegations that FaceTime's peer-to-peer connection technology infringed upon its patents. VirnetX won its case in 2012, and Apple was hit with a $368.2 million judgment, but the appeals and retrial process has dragged on for over seven years until now. Of note, the United States District Court for the Eastern District of Texas is a hotbed for patent infringement lawsuits given several favorable outcomes for patent holding entities like VirnetX. Some would even call the company a patent troll, although it does appear to offer at least one product of some kind. A spokesperson for Apple confirmed that it plans to appeal this final judgment, according to TechCrunch. It noted that the motions can still be appealed even if the original case was already appealed and lost. Whats the point of a "Final Judgment" if you can appeal it? So iphone 8 sales were lacklustre, the 10th anniversary Event at Steve Jobs's theatre went down like a damp squid, and only 46,500 iphone Xs ready at launch day. and they've 'lost' Facetime case. I'd like $100 from you. Just pay it to me, you have the money in the bank. If you'd like I can file a small claim and receive a default judgement so we can continue this analogy. The whole patent system needs to be overhauled. I'm not defending Apple if they did something wrong then they should pay up but small companies patent trolling big companies is not the way to run a business. Normally a troll is defined as a company that buys up patents and then goes looking for offenders. VirnetX is different. Its officers are mostly the guys who actually invented what they license. Basically, they're living the American inventor's dream of coming up with something that lots of people will want to use and pay for. Nothing wrong with that whatsoever. Worse, Apple's own internal documents showed that they knew they were infringing VirnetX patents, but went ahead anyway. You are correct, the United States District Court for the Eastern District of Texas is notoriously known as the home of Patent Trolls.. Many plaintiffs like East Texas and Delaware courts because they are quick, have technical experience, and especially because they favor patent holders. In a similar way, Apple prefers northern California courts which seem to favor home state companies. Likewise, Motorola used to favor filing in their home state of Illinois. Apple has a product, so it’s hardly patent trolling. Actually, Apple has sued over patent claims it doesn't use itself. Also, as previously noted, Apple was part of a consortium that created a notorious patent troll called Rockstar. In any case, VirnetX is not what most people call a troll, since they invented what they license, and do have app and library products using their patents. Also, the patent wasn’t and isn’t on a “rectangle with round corners”, that’s just **** someone made up on the internet. Apple did not try to sue Samsung using the more detailed actual iPad design patent. It wouldn't have worked, as none of Samsung's tablets had a round Home button or the same exact shape. So instead, Apple tried to use the above generic rounded rectangle patent. The attempt failed. Along with courts all over the world, even the first set of California jurors decided that Samsung's tablets did not infringe it. Corporations should have never be allowed to own any intellectual property. Only human individuals should be awarded IP. A lot of inventors are financially unable to enforce or produce their patent on their own. So they sell their invention to someone who can. A lot of so-called patent trolls are like that. They're in business to make back what they paid for a patent and more, so naturally they go looking for infringers. Didn't they have to publicly apologise to Samsung for that? * High court rules (as did the entire rest of the world) that Samsung tablets did not infringe Apple's generic rounded rectangle patent. * Apple spokesman makes a public remark about how such "blatant copying is wrong", even after the ruling. * Samsung asks for an injunction against such comments, but judge says freedom of speech allows public disagreement with court judgments. * However, using a UK law, judge does order Apple to put a link to the judgement outcome on their UK website and publish it in newspapers. * Apple posts a web link to the judgement as ordered, but on their own they also add false intimations that Samsung had been found guilty of copying the iPad in other countries. * Judge orders Apple to apologize for continuing to make false assertions, and to now put the trial outcome on their website's front page, not just in a link. * Apple claims it'll take "two weeks" to change their website. Judge says they have 48 hours. These lawsuits have nothing to do with money for Apple. By paying them without exhausting all legal possibilities first, Apple opens the floodgates to an unimaginable parade of future lawsuits. Patents related to basic features like video calling and peer to peer connections should be invalidated. If Apple can’t circumvent this patent with a software alternative it’s a patent that should never have been granted. I think Apple is a huge bully but thinking that prices are pushed up by a dollar from these crazy patents that are too broad is madness. I also think that patents should at least be used in a competeting product to be valid for that area. Developing a technology should be rewarded yes but it should be shown to have been for that specific purpose and product. Infringement should at least be shown to have been intended and not independently created. VirnetX winning is not good for consumers and competition. The patent was designed to create competition between competing tech and methods and reward development of new methodology. However it’s being used like a protection racket designed to extort as much money as possible and never seems to reward original creators and instead the company’s that holds the patent.